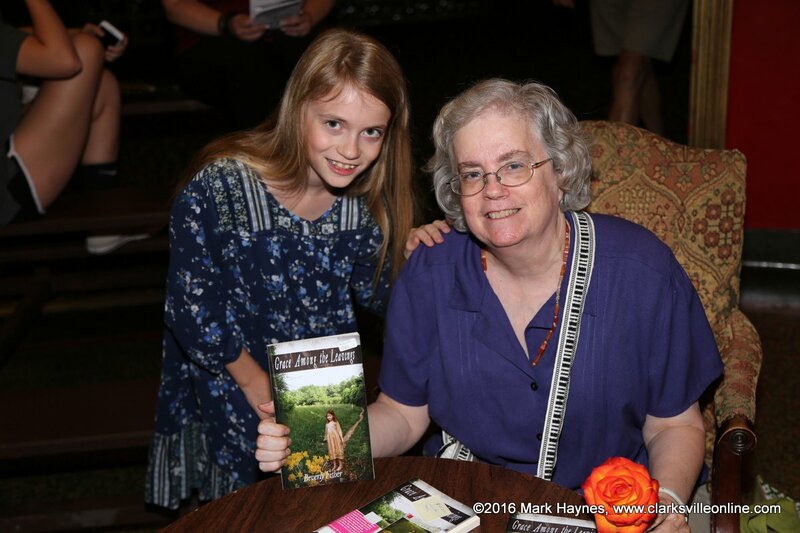 Clarksville, TN – Local author Beverly Fisher was present in theotherspace at the Roxy Regional Theater on Monday, June 20th, as her novella “Grace Among the Leavings” turned dramatic presentation debuted in Clarksville. 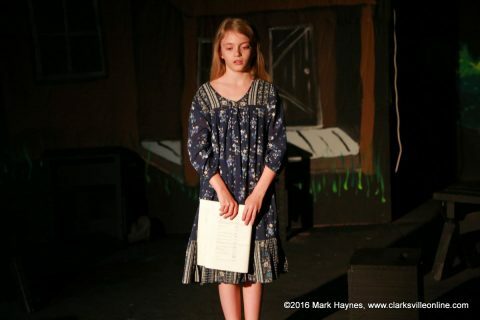 Based on Fisher’s family research and Civil War gleanings, “Grace Among The Leavings” tells the story of eleven-year-old Grace Meadows and her family’s hard times in the wake of war. It features Ava DoVanne, a rising seventh grader, in the starring role. 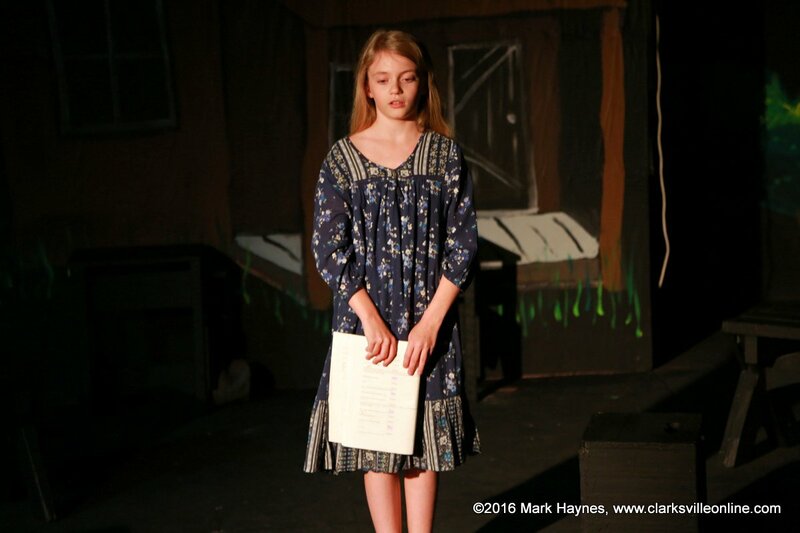 As Grace, DoVanne showed her command of the script and the stage in her performance. “Grace Among the Leavings” at the Roxy Regional Theatre. Fisher, a graduate of Gallatin High School, the University of Memphis and Vanderbilt Law School, served as staff attorney for the Legal Aid Society of Middle Tennessee. She is now in private practice in both Clarksville and Nashville, where her focus is on Social Security Disability cases. Based partially on observations of her grandparents who live in Sumner County and additionally on Civil War recollections of her grandfather concerning an ancestor who participated in the war. “Grace Among the Leavings” was published by Thorncraft Publishing owned by Shana Thornton of Clarksville. Kitty Madden was editor of the project. The original script was written by Dennis Darling and Karl Catton. John McDonald not only refined the play through an additional adaptation but directed the production as well. Workshop participants were Sidney McCarty, Jesse Boyle, Truman Jepson, Lauren Mund, Emma Petrie, Madeline O’Connor, and Georgia Smith. The hammered dulcimer was performed by Stephanie Taylor of the group Red River Breeze . Ms. Fisher held a book signing in the lobby of the theater downstairs after the performance. The cast also received theater goers during the book signing. Beverly Fisher (right) and Ava DoVanne (left). 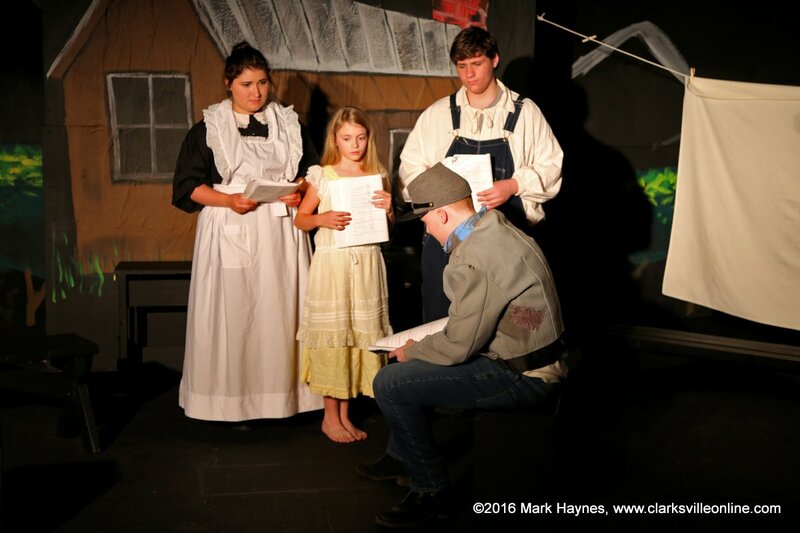 “Grace Among the Leavings” will be performed again at 7:00pm on Tuesday, June 21st; Monday, June 27th; and Tuesday June 28th. Sue Freeman Culverhouse has been a freelance writer for the past 33 years. Beginning in 1976, she published magazines articles in Americana, Historic Preservation, American Horticulturist, Flower and Garden, The Albemarle Magazine, and many others. Sue is the winner of two Virginia Press Awards in writing.